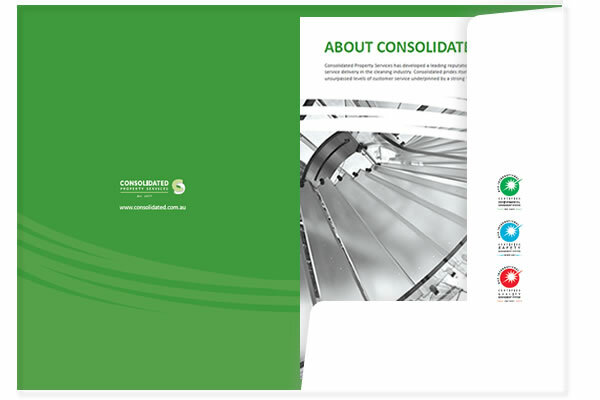 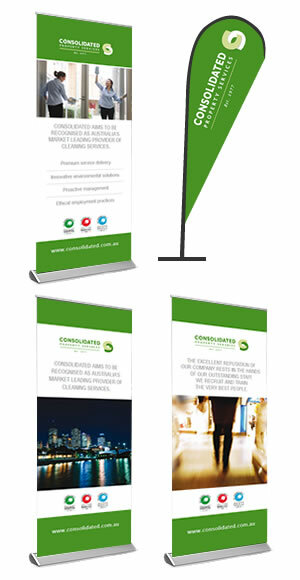 Consolidated Property Services have many facets to their business and we designed a range of A4 double sided flyers to showcase these and to fit nicely inside their presentation folders. 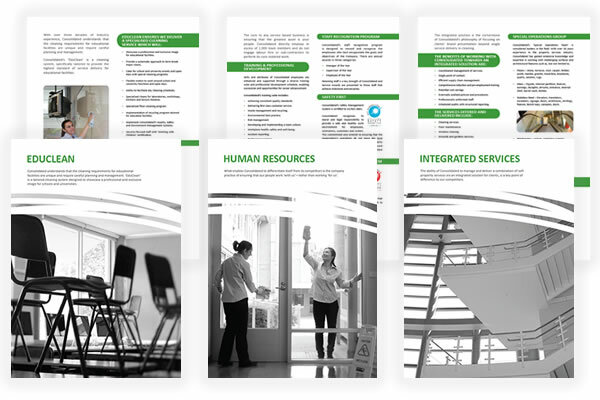 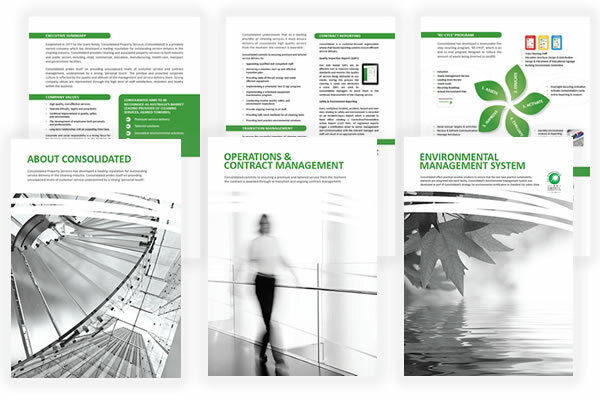 The folders feature their strong corporate green and this is nicely balanced with the black and white imagery on all the flyers. 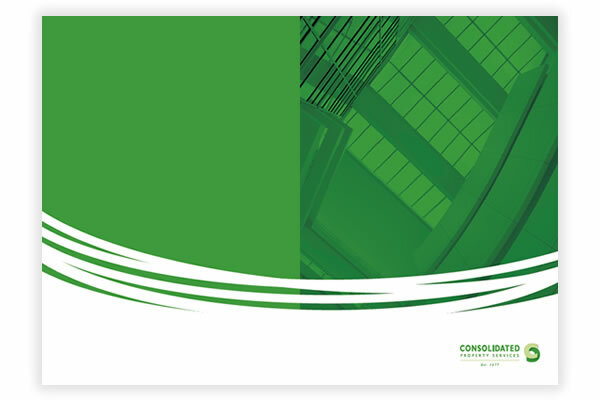 The folders have a matt cellosheen cover with spot varnish on the white areas to give it an impressive look and feel.